Dallas Dinner Table, founded in 1999, is an independent non-profit organization focused on improving race relations in the DFW metroplex, ONE DINNER AT A TIME. The Dallas Dinner Table organizes dinners at an annual event on the third Monday of January to coincide with the Martin Luther King, Jr. National Holiday which provides an opportunity to hear and share diverse perspectives about the impact of race on the daily lives of DFW residents. 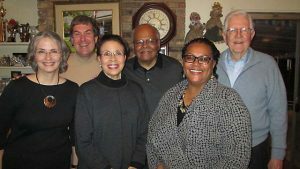 The next Dallas Dinner Table event will be held on Monday, January 20, 2020, from 6:00 pm to 9:30 pm, to coincide with the Martin Luther King, Jr. National Holiday. Dinners are held in private homes, churches, businesses or restaurants and hosted by gracious citizens who provide an evening meal to participants from diverse backgrounds. Facilitators guide dialogue at each table towards cross-cultural communication with a focus on personal action and growth, and the advantages of cross-racial relationships. 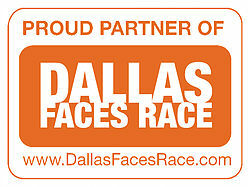 Please consider participating by registering for the event or donating to the Dallas Dinner Table.